The Silent Patient is one of them book that once you hear about it you will see it everywhere. I didn’t know too much about it and then suddenly everyone was reading it. After hearing so many glowing reviews for this book I have to admit that I did have some very high expectations going into The Silent Patient. But now having read the book I can see why there is so much hype surrounding this because it is absolutely amazing, once I started reading it I couldn’t put it down. The Silent Patient is about Alicia Berenson who has the perfect life, she loves everything about her it, even her job and her husband. But things take a sudden turn when he arrives home late one evening and she shoots her husband five times, and then does not say another word. It’s a mystery why Alicia suddenly turned on her husband. Then a forensic psychotherapist called Theo Faber turns up and is intrigued by Alice and he wants to be the one to get her to speak again and find out what happened on that horrific night. As I said once I picked up this book I could not put it down. The chapters are relativity short and easy to read and once I finished one chapter I was dying to carry on reading the next one. The book is only three hundred and fifty pages but you go through such a journey in them pages that it feels like you have read double that. I loved how deep this book went and we really learnt a lot about both Alicia and Theo and I think this made it even more interesting to read. By the end of the book it felt like Alicia and Theo weren’t just characters from a book but were real people. This is the first book that I have read from the author and it won’t be my last because I think he has such an amazing way of building up tension and suspense that it’s perfect for this type of story. The writing is spot on and its very easy to just continue reading because it feels so comfortable to read. He manages to create so many twists and turns you don’t know what’s going to happen next which makes even more shocking when it does happen. I have to admit that I did not see the major twist coming which is surprising because normally I am able to guess what is about to happen. The Silent Patient is not released until February 2019 but I would recommend you all put this on your wish list or preorder it right away because you will not regret it. I know many other reviewers have said the same thing about this book but this is one of my favourite reads of 2018. 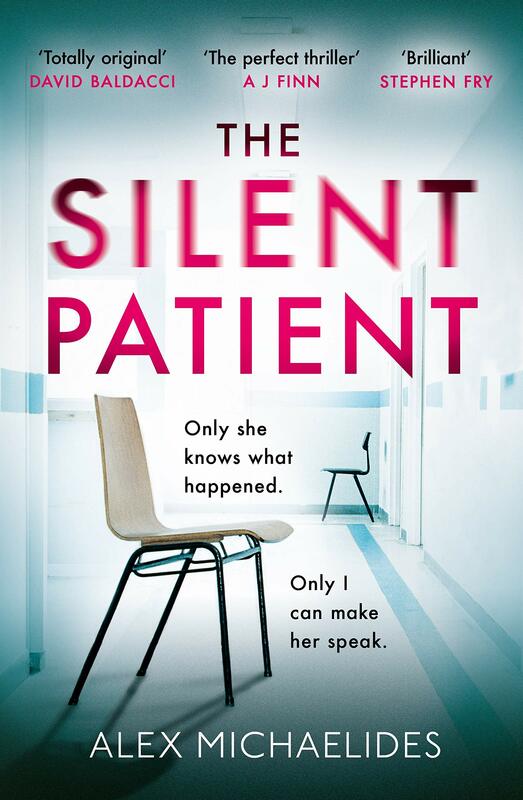 If you are looking for an original story with some pretty big twists and turns then The Silent Patient is the one to read.